This was only Agatha Christie’s third novel and only the second to feature her enigmatic, eccentric Belgian sleuth, Hercule Poirot. This book is rather oddly titled and the covers the book has had over the years typically misrepresent the book based on the title; the murder actually takes place on a construction site where a golf course is going to be developed, not on a working golf course. 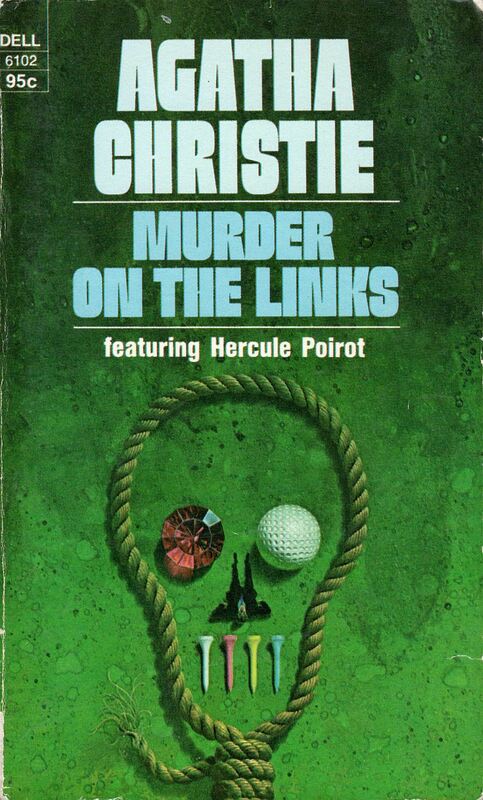 Regardless, I think this one is better than The Mysterious Affair at Styles, Christie’s first Poirot novel. The comedy of the book works much better here. I think it’s forgotten the degree to which Christie was kind of sending up these kind of mystery novels; Captain Hastings is kind of a parody of Dr. Watson in a lot of ways – he’s even sillier here than in a lot of these books, due in large part to a substantial romantic subplot he’s given, which gets a lot of chuckles. The mystery is more complex as well. The book also features a police detective named Giraud who is flamboyant and dashing and believes every crime is solved through the use of science and physical evidence. This is an obvious parody of other literary detectives and through Poirot, Christie lays out her case for mystery fiction: the solutions to the mysteries should come out of the psychology of the characters, not out of things like fingerprints and chemical tests. This is an enjoyable novel, perhaps not quite at Christie’s top level, but very, very good. 3 ½ stars. tl;dr – Christie’s second Poirot novel is wittier & smarter than the first; an all-around improvement and a fun read. 3 ½ stars.